I have been looking at the point of fearlessness and my desire to be without fears. Bellow are the self-forgiveness points I wrote out so far. I forgive myself that I accepted and allowed myself to define being fearless as positive and having fear as negative and within this adding unnecessary extra judgment towards my experience of when I have fears or when I don’t. 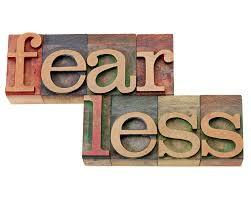 When and as I see myself defining/judging fearlessness as positive and fearfulness as negative – I stop and breathe. I realize and understand that judging/defining/perceiving fearlessness as positive and fearfulness as negative will not help me be stable and self-directive, because when I start judging having fears I don't apply the solution of looking what the fear is about and stopping it, and then I just create the desire to not fear, while I fear. 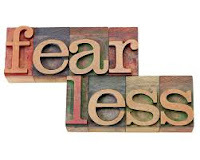 Thus I commit myself to stop defining fearlessness as positive and fearfulness as positive, instead I simply see it as an experience where fear either is or is not involved. I forgive myself that I accepted and allowed myself to desire to be fearless because I perceived it as something positive. When and as I see myself desiring to be fearless – I stop and breathe. I realize and understand that by desiring I am just creating another layer of feelings, instead of look at the source of fears and stopping it. Thus I commit myself to no more desire to be fearless and to instead look at the source of fear that comes up and remove it with self-forgiveness. I forgive myself that I accepted and allowed myself to fear that I will always have fears and not be self-confident and inferior. When and as I see myself fearing that I will always have fears and not be self-confident – I stop and breathe. I realize and understand that I am with this fearing the fear itself. Thus I commit myself to always make sure that I do not fear the fear itself, but instead take it as an indicator that I haven’t look at the specific point and directed it without self-sabotage/self-doubt. So I look at the point and remove all self-sabotage/self-doubt/self-judgment with self-forgiveness and direct myself in self-certainty without fear. I forgive myself that I accepted and allowed myself to decide that I would like to know how to be fearless and wonder about it, instead of looking at the cause of my fears and removing them. When and as I see myself thinking about how it would be to be fearless – I stop and breathe. I realize and understand that I can only make stop fears by looking self-honestly at the cause of my fears and removing it with self-forgiveness. Thus I commit myself that instead of wondering about how fearlessness looks like, I will find the cause of my fears and remove them. I forgive myself that I accepted and allowed myself to become jealous of my schoolmate when I saw her being self-confident and without fears. When and as I see myself seeing/perceiving someone being fearless and becoming jealous – I stop and breathe. I realize and understand that I don’t help myself by being jealous; instead I can take the moment to enjoy the self-expression of the person and realize that all it takes to stop my fears is to look at the source cause of it and remove it with self-forgiveness. Thus I commit myself to not create jealousy towards people I see/perceive as being fearless, but to instead enjoy the moment of self-expression with them and apply self-forgiveness on the causes for my fears that may come up within me. I forgive myself that I accepted and allowed myself to use the point of “I don’t know how not to fear” as a justification for keeping my fears. When and as I see myself thinking “I don’t know how now to fear” – I stop and breathe. I realize and understand that I am not being self-honest, because I know me and I know what I fear and why. Thus I commit myself to not accept the justification of “I don’t know how not to fear” and to instead have a self-honest look at the cause/source of my fears and apply self-forgiveness to let them go as I don’t need them and they don’t serve me or help me in any way. I forgive myself that I accepted and allowed myself to take it as a confirmation that I don’t know how to stop my fears when I see I have fears coming up while comparing myself with someone else for whom I see/perceive has no fears. When and as I see myself taking it as a confirmation that I don’t know how to stop fears in moment where I realize I have fears coming up – I stop and breathe. I realize and understand that I simply haven’t allowed myself to admit the cause/source of my fears to myself yet. Thus I commit myself to no more take it as a confirmation that I don’t know how to stop fears when I see fears coming up, instead I allow myself to be brutally self-honesty with myself and see the cause/source of my fears and apply self-forgiveness to let it go as I know and understand that fears don’t help or protect me at all. I forgive myself that I accepted and allowed myself to sabotage myself by thinking that I don’t know how not to fear and how to find the source of my fears. When and as I see myself sabotaging myself by thinking that I don’t know how not to fear and how to find out the source of my fears – I stop and breathe. I realize and understand that I simply have to slow down my thoughts, breathe more, write out the experience and ask more questions to see and come to the source of my fears to then remove them with self-forgiveness and let them go. Thus I commit myself to, when I see I have fears coming up, stop, breathe, slow down my thoughts and write out the experience and allow myself to be brutally self-honest and see the cause/source of my fears and then let it go with self-forgiveness.